We are delighted to announce that construction is starting on our next 50,000 sq.ft. high bay building in Dublin AirPort Logistics Park. The building will be finished to Rohan’s typical high standard and is due for completion in Q3 of this year. Heron House is a 48,760 sq.ft. high-bay warehouse facility with approx. 10% office accommodation. 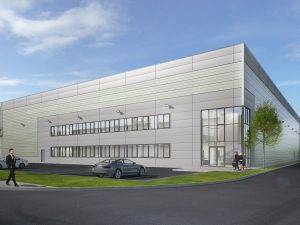 It will boast an internal height of 12 metres, an extensive secure service yard with a depth of 33 metres, dedicated car parking, five dock levellers with tailgate loading and two roller shutter doors at grade.